It's no secret that I have quite a stash of eyeshadow palettes. But my current go-to palettes all have one thing in common; they're warm toned. Y'know, those orange, matte terracotta, warm brown, eyeshadows, I simply can't get enough. So it will come as no surprise that I took an instant liking to the Smashbox Cover Shot Eye Palette in Ablaze. Plus I adore it's pocket sized packaging (although it has got lost among the mess on my vanity!) and the fact it's been created in collaboration with my favourite Pretty Little Liars star Shay Mitchell. Considering this palette is tiddly, it's not fiddly! My blending brush fits perfectly into every single pan and the slim compact also has a generously sized mirror in the lid. Not only is it ideal for on the go (top-ups are a doddle), it's far from overwhelming as it's made up of 8 gorgeous, versatile shades. Speaking of which I've experimented with every shade and there isn't one I dislike. They're the perfect match for my blue eyes and the playful shades are more wearable than I expected, especially Nirvana a medium reddish berry which isn't too dissimilar to ABH Love Letter. 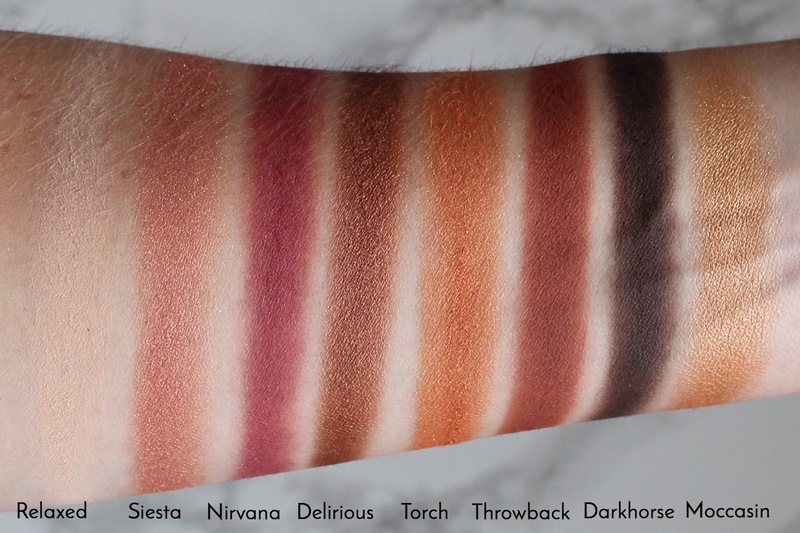 I also like the fact the palette can work for daywear all the way through to the evening with the addition of deeper shades such as Darkhorse a deep matte brown which adds extra depth and contras. A few of my favourite shades include Moccasin a beautiful copper and Siesta a rosy copper with a stunning pearly sheen, which looks frankly awesome worn across the lid, reminding me of an old favourite MAC Gingersnap. TBH these shimmery neutrals are fool proof and perfect for creating a one-tone sweep of colour across the lid, which is what I've been opting for day-to-day. Finish-wise the palette has a decent mix of matte and shimmer and they last incredibly well and all in all are relatively crease-free. Smashbox Cover Shot Eye Palette in Ablaze IMO totally deserves more attention and top marks! A deeper matte peach would have been a welcomed addition, but on the whole I don't have a bad word to say. 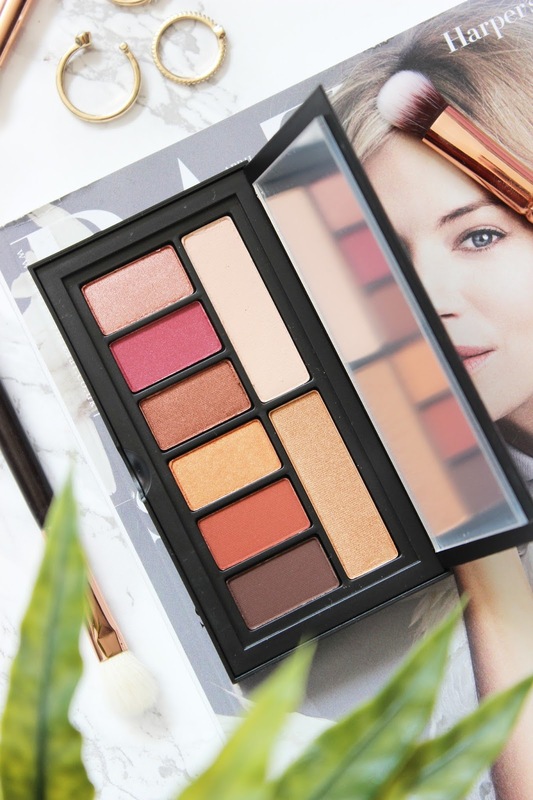 In fact, its formulation is on par with the coveted Anastasia Beverly Hills Modern Renaissance Eyeshadow Palette AND I've been reaching for Ablaze over my Urban Decay Naked Heat Eyeshadow Palette. Not to mention it costs just £24 so not only is it great value for money; it's a wallet-friendly alternative to the best sellers. Need I say more? What's your favourite warm toned eyeshadow palette?